Just finished shopping@ Robinson Sales and MPH sales. The kids say they are hungry. So we decided to stop at Macau Express for some snacks before going home. While waiting for the food, here's the tired kids. And the food we ordered arrived. 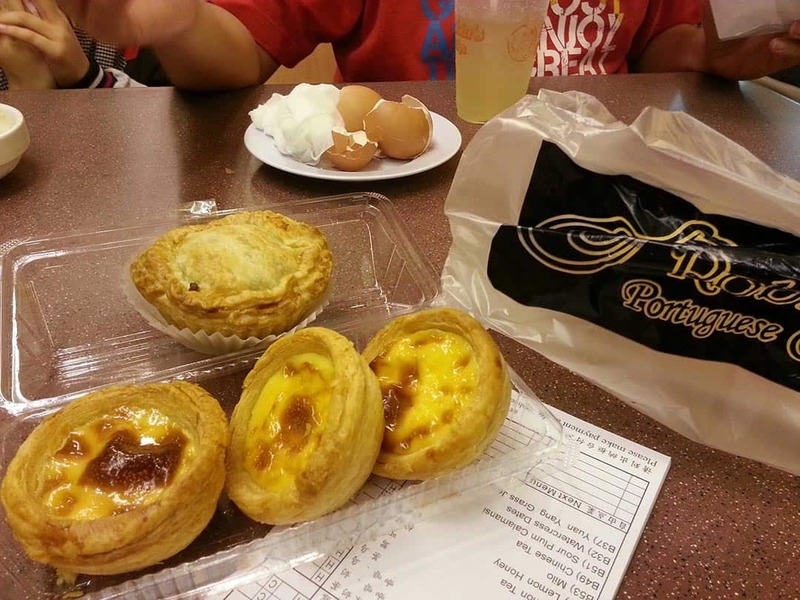 The warm small soft egg tarts are nice. 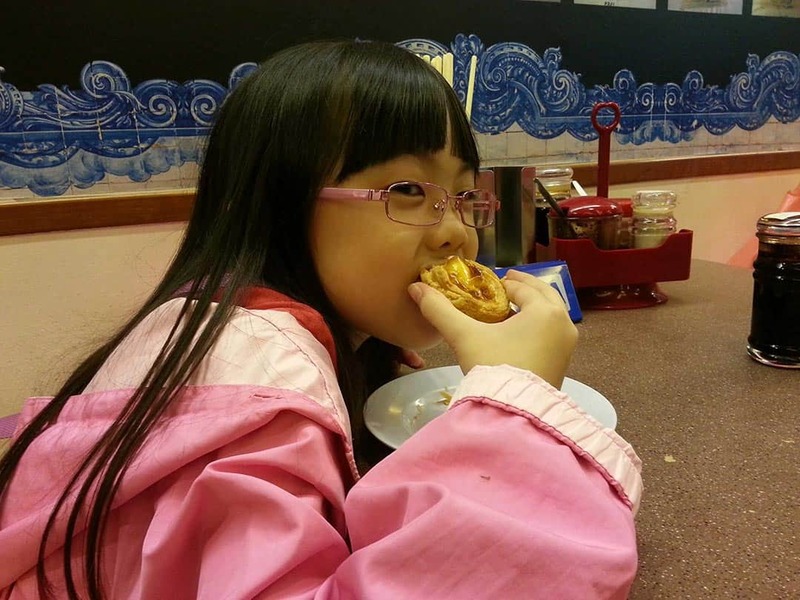 Amilie say the egg tarts are cute. Mango Sago was sweet though the portion was not much. We liked the food that we buy additional food back to share. 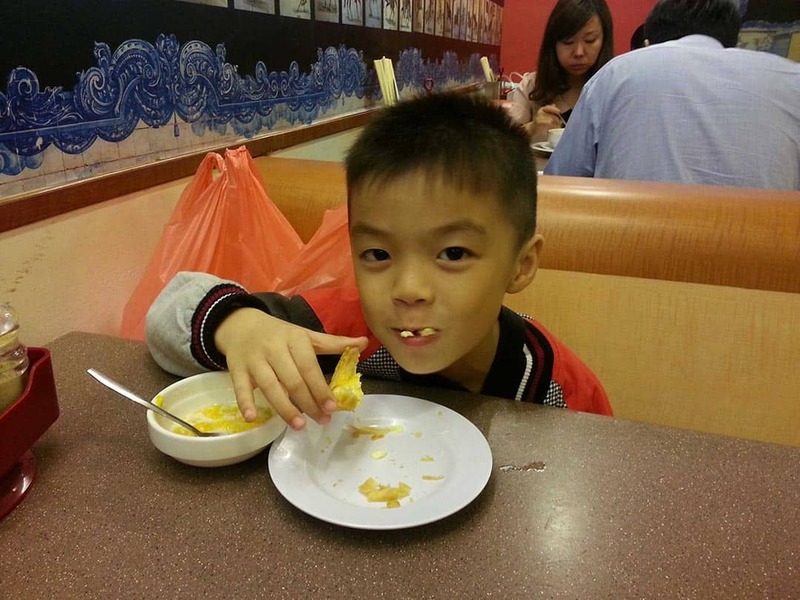 We happened to come across Ah Seah Eating House at Kovan Centre one afternoon while looking for some place for lunch. The first time we went there, we tried the stall next to the drinks stall, a stall selling claypot food. The stall name is “Fu Xing Claypot Xiao Chi”, Stall #6, according to the signboard. We each ordered a different set of claypot dish and we ate till very full that day, agreeing that we should have ordered a set and share instead. So the second time we went there, we ordered the Sliced Fish Soup set that cost $10. The set consists of the Sliced Fish Soup, Claypot Sesame Oil Chicken, Vegetables and 2 bowls of rice. My favorite dish is the Claypot Sesame Oil Chicken. It’s just taste yummy and really suits my taste bud. I think I would miss this dish when I was on confinement. The vegetables were normal and I prefer the claypot tofu that was included in the pomfret soup set. Not sure whether they could change the vegetables to claypot tofu instead. The slices of fish in the sliced fish soup were fresh and it’s alright for someone who doesn’t know how to eat fish. The soup is considered “cooling” as it’s cooked with bitter gourd. We went to Downtown East for dinner and decide to eat at BBQ Chicken. As there were 3 adults and 2 kids, we decided to order the Combo Jumbo Family Meal which consists of 8 pieces of combination of “Original Crispy”, “Hot Hot Drum” & “Korean Charbroiled Chicken”. The combo set consists of the French fries and coleslaw. The waiting time wasn’t long before we were served with our dinner. The fries and coleslaw were placed our table first. We ate the coleslaw after we had the chicken. It's been awhile since I had updated on yummy food. Anyway, decided to try the western food since I had not tried before. I tried the Chicken Cutlet set @ $6.50. The chicken cutlet is quite small in portion. There's also the usual salad and fries. I would say that the chicken cutlet is quite common taste. The set comes with a bowl of cream of mushroom. Though there was nothing special of the chicken cutlet set, I am still tempted to try the other dishes from the same stall. Here's 1 place which I had patronise since young. Haven't been there so long and recently got a chance to go back there with friends. It is still about the same as long ago (nah~ I am not saying I am old) It had been at the basement of Golden Mile for very long and been a favorite by many people. Even my parents loved to patronise it. Took some photos while we were there. 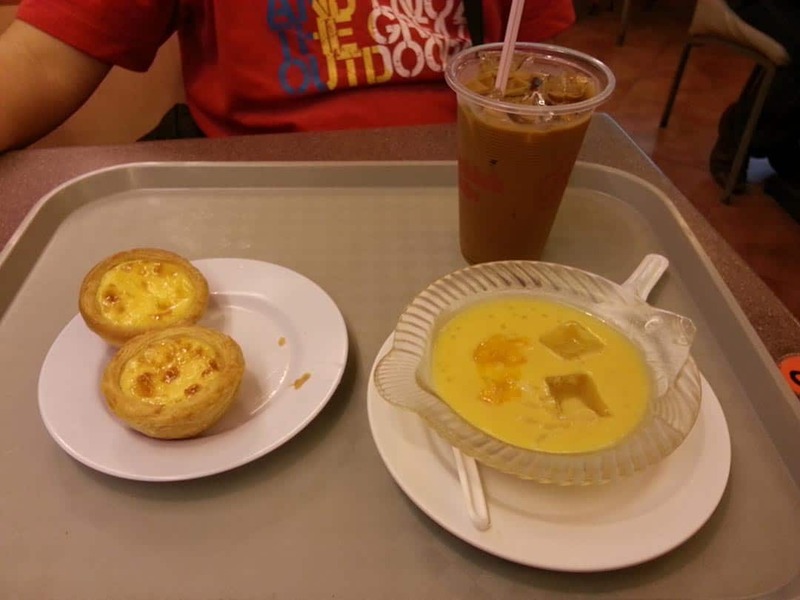 The soup is yummy & it get tastier as the taste of the ingredients is 'absorbed' into the soup. The ingredients consist of seafood, meat & vegetables. In addition, we ordered a plate of chicken and a plate of satay. The chicken is really yummy. The meat is tender. Satay is yummy & tasty.